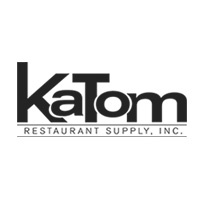 One of the largest restaurant equipment suppliers in America, KaTom has over 130,000 items available for order. From kitchen supplies to restaurant furniture, they satisfy many needs in the food service equipment and supplies industry. They use Nav-to-Net for their B2B website because it matches their need for superior technology, efficient operations, and excellent customer service. Nav-to-Net supports all their business needs to support their customers, including UPS shipping customizations. Busch Systems has 30 years in the recycling and waste management business, always mindful of the environment. They help businesses by recommending and customizing waste and recycling solutions for collection programs across all industries. They trust Nav-to-Net e-Commerce solutions to sell their effective and functional products that don’t sacrifice design. They take advantage of features like unlimited categories, multi-level pricing, coupon management, and multiple payment and shipping integrations. David Phillips is UK's largest design-led residential and contract furniture and specialist service provider with an increasingly international customer base. Their beautiful website elegantly presents their products and services while being managed entirely in NAV. Using Nav-to-Net's flexible and developer-friendly structure, they have a stylish look and feel reflecting their brand, while efficiently managing all logistics to satisfy customers. Kiowa Ltd, based in Lincolnshire, UK, has established themselves as a national manufacturer and distributor of industrial hose assemblies and fluid power products that has the capacity and capability to service large organizations. Using Nav-to-Net™, Kiowa is able to leverage their NAV system, resulting in efficient business processes to better serve their branches, suppliers, and customer base. DVP and K3 configured Nav-to-Net™ to their exact needs and high standards, making it a significant part of their business’ growth strategy. Read Case Study. Draught Services, a division of The Beer Store, was established in 1947 and have extensive experience in beer line cleaning, installation, service, and certified education. Draught Services supplies complete customized quality draft systems to meet every customer need. They use Nav-to-Net™ features such as unlimited categories, customer account portals, and quick order, and more to make the shopping and ordering process as simple as possible. Bill payment flexibility and the "Head Office - Subsidiaries" feature was important to Draught Services and Nav-to-Net™ fulfilled that for them easily. Capel Rugs is the oldest and largest importer and manufacturer of area rugs in the U.S. and they are dedicated to leveraging sound and effective technologies to support the needs of their customers. Capel Rugs currently sells over 30,000 items and required an e-Commerce solution that would handle it easily. Powered by Nav-to-Net™, Capel's webshop has a wide range of capabilities, from order entry with special pricing and discounting to real time order status and inventory availability. Liteline Corporation is one of Canada’s leading lighting manufacturers with more than 650 product lines for residential and commercial applications all across North America. Their website needed to showcase the design, technology, and innovation of their items while presenting solutions to customer problems. The structure and integration of Nav-to-Net™ allows them to effectively meet all customer needs regarding installation, functionality, and design. They use features like parametric search, multiple categories and subcategories, content, image, and file management in NAV, and multi-dimensional product variants. They are wholesalers of wine and beer makers’ equipment and supplies, located in St. Catharines, Ontario close to wine country. From wine presses and fermenters to wine filtration supplies, they provide the high quality equipment necessary to a network of fine winemakers. Powered by Nav-to-Net™, their vendor portal allows B2B customers to easily order and manage their accounts. Seamlessly integrated with their NAV, Global Vintners has taken advantage of the strong and versatile B2B capabilities, allowing them to move business along smoothly and securely. Stampede Presentation Products Inc. is a world renowned leader in providing AV and IT system solutions in every major vertical market and the oldest and largest provider of ProAV solutions. Nav-to-Net™ helps power their dealer zone where dealers are able to receive support tools and resources. With the tight integration of Nav-to-Net™, Stampede provides the necessary order tracking and management, internal communications, and ongoing customer support for their extensive dealer network. As a not-for-profit organization, the California Chamber of Commerce (CalChamber) is a business advocate and HR compliance resource for California employers. Lobbying for pro-job policies, CalChamber tracks more than 3000 legislative proposals each year. CalChamber monitors, analyzes, and reports changes as they happen, using their expertise to create products and services that reach several businesses via Nav-to-Net™ keeping them in compliance and out of court. CalChamber relies heavily on the NAV integration, scalability to account for growth, and the ease of content management in Nav-to-Net™. As the authority in manufacturing and distribution of agricultural equipment for over 55 years, Lindsay has continued to grow and achieve success. They’ve grown from a regional company to an international agribusiness and highway infrastructure firm that’s listed on the New York Stock Exchange. As part of their business and e-Commerce strategy, they use Nav-to-Net™ to empower their dealers so they can be agile and confident through the entire sales process. The powerful B2B capabilities and seamless integration of Nav-to-Net™ has helped lead them to the success they enjoy today. ETR Associates is a non-profit, science-based organization that works to improve the physical, social, and emotional health of individuals, families, and communities. They do this by advancing the work of health, education, and social services providers through high-quality research, publications, information resources, training and programs. ETR Associates Online Portal is powered by Nav-to-Net™ delivering unmatched operational efficiency. With a wealth of resources, products, and knowledge to share, Nav-to-Net™ optimizes the management of web components through a single user-friendly interface in NAV. NAFDA is Australian owned and operated by distributors who have strong ties to their local communities. They are a leading food service procurement and marketing company with the ability to serve all segments of the industry with frozen, chilled, and dry groceries. Using Nav-to-Net™, they support their suppliers and distributors with the necessary products, tools, and services to conduct business effectively and efficiently. Process enhancements like standing order guides streamline their focus on repeat order business requirements. With time-sensitive logistics in the food service industry, NAFDA relies on the seamless integration to NAV to ensure quality for every single customer. AquaTerra Corporation is Canada's preferred drinking water company. As the leading provider of bottled water for coolers, advanced tap water filtration systems, and coffee and tea service, AquaTerra Corporation's products are enjoyed by millions of Canadians every year. Available for direct delivery to homes and offices, they are also sold through Canada’s major grocery retailers. AquaTerra Corporation uses a Nav-to-Net™-based hybrid webshop to support their unique distribution processes and changing needs of their substantial customer base. Who doesn’t love fudge? Calico Cottage is the world’s largest provider of fudge ingredients, equipment, and merchandising expertise. They serve customers all over the world like New Zealand, Canada, Australia, and much more. Calico Cottage runs a B2B webshop based on Nav-to-Net™ so their retailers’ needs are met efficiently. With the integration to NAV, they are able to maintain high business standards regarding stocking and inventory, providing customers with reliable service at all times. The makers of quality hot tubs for brands like Hot Springs® Spas and Caldera® spas, they’re the leaders of the industry. They’ve manufactured over a million hot tubs since 1977 and with their extensive network of sales and service centers all over the world, they needed a solution to keep up while leveraging the data in their ERP and adapting to their many automated processes already in place. To efficiently serve their dealers and customers, Watkins uses Nav-to-Net™ B2B and B2C websites to help them buy the right parts and provide the best service for their customers. U.S. Kids Golf helps kids have fun learning golf while encouraging family bonding to build memories. Parents and pros alike all over the world have seen the difference that U.S. Kids Golf products have made in the child’s technique and enthusiasm for the game. Powered by Nav-to-Net™, the B2B webshop offers their business partners the ability to place online orders and enjoy a smooth and pleasant shopping experience. Also known as CIL, they are the world’s leading producer of stable isotopes and isotope-labeled compounds. Their products are used in a variety of field including medical, government and academic research, and health care facilities worldwide. With Nav-to-Net™, their extensive and specialized inventory is carefully managed and sold with the utmost care and efficiency to facilities all over the world. They take advantage of the integration to NAV and features like unlimited categories and quick order options; this gives them a competitive advantage in the chemical industry. With over 12,000 customers, Peacock Bros. supply, install, and support barcode data capture equipment and software. They also sell label printing systems, tags, and thermal ribbons. Their extensive and detailed catalogs are presented and searchable in a way that gives customers an engaging shopping experience. Their focus is on the pre and post-sales service and support to their growing customer base and Nav-to-Net™ helps them meet all their unique business challenges. As one of the largest wholesale distributors of technical outdoor products and climbing gear in the US, they are touted as the “Everything For the Outdoors” one-stop shop. They’ve got countless brands and products and rely on Nav-to-Net™ to be the backbone of their online business. Our efficient webshop solution helps them focus on great customer service and always getting the product to the customer whenever they need it. DOW Electronics quickly established themselves as the dealer’s choice of distribution of premier electronic repair parts. They also offer products and services from a collection of premium brands, such as satellite television, satellite broadband, VoIP, consumer electronics and custom integration, and many more. Nav-to-Net™ is the best way for DOW Electronics to strengthen partnerships with retailers and vendors. Their unique distribution infrastructure and excellent customer service is well supported by Nav-to-Net™. Imprint Plus believes in freeing your identity, helping individuals and businesses define unique identities through sleek, professional, and cost-effective name badges. Serving as many as 21 different industries, they leverage Nav-to-Net™ to connect them with corporate businesses, allowing users to access products and services unique to them. With the strong B2B capabilities of Nav-to-Net™, they are also able to offer wholesale options to customers who require it. The seamless integration to NAV also means they can switch up promotions and seasonal sales in real-time as needed. Food Bank for New York City has a noble cause, dedicated to ending hunger throughout the 5 boroughs for more than 30 years. Through its network of more than 1000 charities and schools, Food Bank has provided food for more than 63 million free meals for New Yorkers in need. Digital Vantage Point is proud that Nav-to-Net™ is a part of this mission. Time is of the essence so features such as order forms, real-time inventory, and in-line error handling help manage the process while shipping routes manage delivery expectations. Para-Gear Equipment Co. sells top-notch parachuting products to over 125 countries. They also publish the largest skydiving catalog in the world with all the latest equipment. As long-time experts in the field, they rely on Nav-to-Net™ extensive product and content management to ensure customers and dealers are well-educated and are satisfied with every order. Robert Thibert Inc. is Canada’s leader in vehicle accessories distribution. They have an extensive inventory of car and truck accessories, electronics, tools, alloy and steel wheels, and more distributed throughout multiple warehouses across Canada. Daily deliveries are made to more than 8000 customers and they pride themselves on prompt service to customers. As they constantly expand and grow, they rely on Nav-to-Net™ to manage their detailed multiple catalogs. They also build on retailer relationships through a dedicated B2B e-Commerce and customer service portal. Keystone Industries is the largest aftermarket hot melt parts company with careful attention to customer service, from time of quote to sales follow-up. They’re dedicated to providing lower prices for their large range of quality parts so customers can stock less, spend less, and receive technical assistance. They take advantage of Nav-to-Net™ features such as parametric search and sales quotes to best serve their customers. Single Source Inc. provides exceptional logistics management services with a carefully crafted business model with customer needs in mind in the food services distribution industry. Their business model allows their customers to change physical locations as needs change, and all unique business processes are supported by Nav-to-Net™. This includes secure ordering system, automated inventory replenishment, and more so previously tedious actions are done in a snap. Torlys sells high quality, stylish flooring to residential customers, builders, and commercial environments at a competitive price. They use Nav-to-Net™ to power their dealer site. Seamless NAV integration enables 24/7 product orders and real-time inventory checks. Torlys also takes advantage of Nav-to-Net™ B2B features such as custom product lists, multiple favourite lists, and multi-level user authorities so multiple salespeople can place orders online. A tire company with multiple locations in the US, they rely on Nav-to-Net™ to provide a comprehensive and seamless online shopping experience. They sell a variety of trusted tire brands and use features like advanced search to make it easy for customers. In addition, they use Nav-to-Net™ e-Commerce for valuable features like order history, quick order, wishlists, reports, and easy to manage customer accounts. Disway is the first to distribute IT and telecom equipment in Morocco. With significant growth potential, they offer a wide range of international brands, products, and materials. They rely on the synergy between the operational, commercial, and financial activity of their distribution network; NAV integration is very important to them. Using Nav-to-Net™, they’ve capitalized on the e-Commerce market and forged strong relationships with their dealers through a B2B webshop. Nav-to-Net™ also helps them manage their large inventory. Alliance Tire Group (ATG) is the leading name in off-highway tires and are the preferred OEM choice across the globe. ATG uses Nav-to-Net™ to take their business online and connect with international business partners. Nav-to-Net™ helps manage their complex product catalog as they have tires for a wide variety of purposes, from fields to mines, and factories to forests, as well as a tire selector on their website that helps customers and dealers find what they’re looking for. Target Specialty Products is the leading national wholesale distributor of specialty agricultural chemicals, application equipment, products, supplies, services, and education. They serve many industries including maintenance of golf courses, turfs, forests, landscapes, nurseries, and pest control. The Nav-to-Net™ website serves as a hub for employees across 19 locations while the built-in organization and content management tools help them effectively serve customers. Target takes advantage of many B2B e-Commerce features while integrating seamlessly with their NAV.